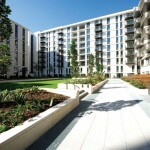 All Triathlon Homes residents will have either a tenancy agreement or lease provided. This is an important document, as it is the legal contract which outlines your rights and responsibilities. Make sure you keep it in a safe place and refer to it whenever you have a query about your rights or responsibilities. Residents will also find a wide variety of useful information in the ‘You and your landlord‘ guide provided in the welcome pack. Shared owners and leaseholders can also refer to the ‘Leaseholder Handbook’ for further information specific to them. Changes to your household If you are renting, it is also important that you tell us of any changes to your household. This includes any additions to your household such as having a child or a new partner or spouse moving in with you, or taking in lodgers. We also need to know if someone leaves your household. We need to understand who is living in the home and how this can affect your tenancy and the suitability of your home. Moving home If you want to move, you need to make sure you provide the right amount of notice. It is usually four weeks written notice, but check on your tenancy or the ‘You and your landlord‘ guide. If you need any guidance about moving, please get in touch with the team. We know that tenancy and lease conditions can seem complicated, so please ask if you are unsure about any of the conditions. We are experts in this area and we can talk to you about your tenancy or lease and about any issues you may have.